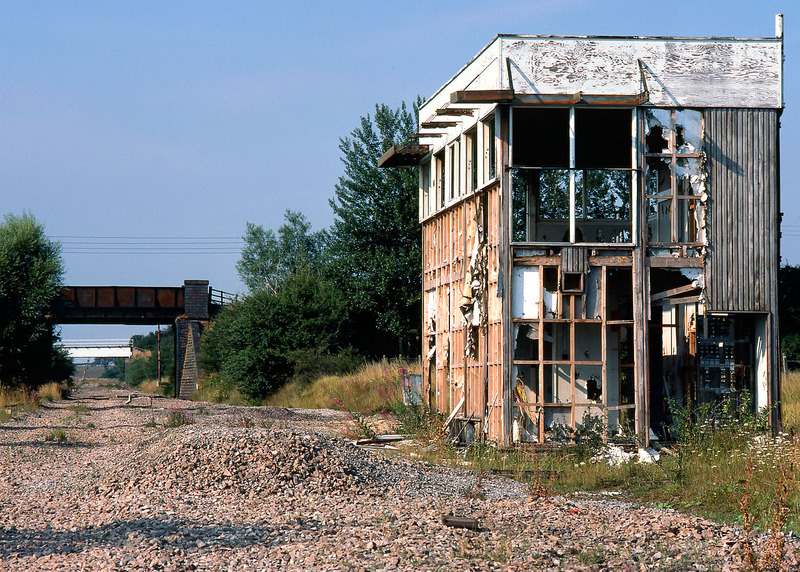 Honeybourne West Loop Signal Box succumbs to the elements (and the vandals) after being disused for several years, when pictured on 12 August 1984. The box had a relatively short life, having been built in 1960. Looking at the rather basic construction, it presumably wasn't intended to last very long, and is certainly nowhere near as well constructed as the typical GWR box.